Dance Fest was created in partnership with Dance Base, Active Schools and Edinburgh’s Festival Theatre. Working in ten High Schools in Edinburgh over a term, 5 choreographers created a performance piece using values and qualities from the Commonwealth. These new works were then performed at the Festival Theatre on the biggest stage in Scotland. Each school also put two young people forward to represent their school as Young Dance Champions, in order to come together and complete a Dance Leadership Level 1 course - they would then share their learning with others in their community. Dance Base has enjoyed working in 3 Edinburgh Primary Schools, to create a performance piece inspired by Commonwealth Games sports. The 90 pupils came from, Royal Mile, Prestonfield and Stenhouse, and performed in Festival Square to specially-created music by Barney Strachan. Barney is also one of Dance Base's class musicians. 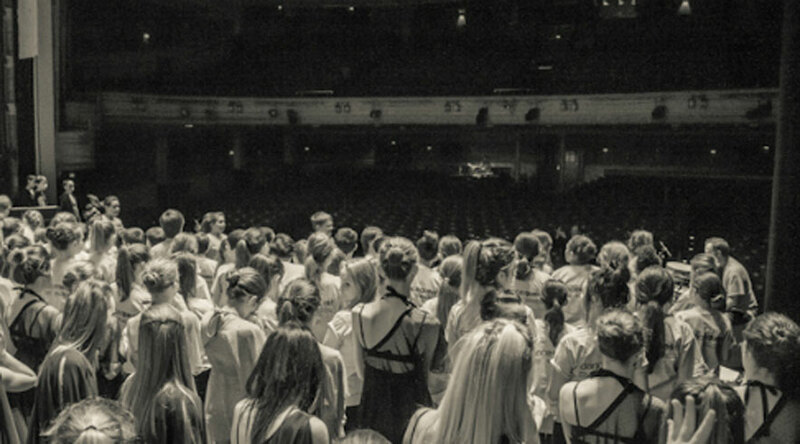 Dance Base was proud to be a key organisation in leading the dance activities for Edinburgh and the Lothians. Get Scotland Dancing encouraged more people to get active and participate in dance. The project had many elements including Big Dance Pledge, involving Scottish Ballet. Scottish Ballet created choreography, to specially commissioned music, which was then shared digitally by various dance hubs in Scotland, the UK and around the world. On a lovely Friday afternoon in May 2014, over 400 young people and other dance groups performed the choreography on the Mound. the dance was performed at the same time in 67 different locations around the world with over 50,000 participants worldwide.